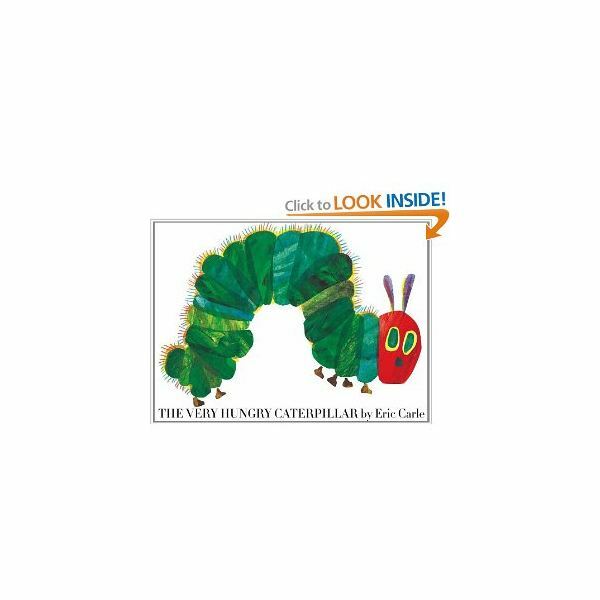 Before reading The Very Hungry Caterpillar by Eric Carle to the class the teacher should review concepts introduced in the story. As the story is read, the students can take turns feeding the caterpillar their fruit as it corresponds with the story. The teacher can suddenly make a butterfly appear at the story's conclusion as well. The caterpillar can be made easily from just a sock with googly eyes. Fruit and a butterfly can be created from felt. Students can practice sequencing events in the story. Using a hole puncher the teacher makes holes at the top of the food cutouts. The students are then given a string. As the story is read, students can pick up the food and put it on the string in the proper order. Teachers can go over the letter "c" for phonics instruction since caterpillar begins with this letter. Children can help the teacher come up with words that begin with the letter "c." Next, the students can copy the words down and draw a picture for each of them. For writing, the teacher can give students a handout with sentences from the story. The sentences should contain a few blank spaces. The class can work together to fill in the missing words. The educator can write the words on the board for those students that need help with spelling. To practice comparing and contrasting, the teacher can draw a venn diagram on the chalkboard or chart paper. The class can discuss the differences and similarities of a moth. The teacher can make a graph with the names of the food mentioned in the story. The teacher can ask students what their favorite food on the graph is. Afterward, the teacher can ask questions about the graph. A graph made with pockets can also be created with different food categories labeled on top. The students can place food cut outs under the appropriate category. For example, an apple would go under the category labeled "Fruit". Students can learn about the life cycle of a butterfly in science. The teacher can pass out patterns or pictures of eggs, small caterpillars, large caterpillars, caterpillars building a cocoon, a caterpillar inside a cocoon and a butterfly leaving the cocoon. Then the students can place these patterns in the proper order. Body movements can be taught by having students act out the movements of the caterpillar in the story. Children can bend over to touch their toes. This will round their body out as they become the shape of the egg the caterpillar hatches from. Next, the students can wiggle and crawl around like the caterpillar. The children can rest their bodies as if they are in a cocoon. Afterward, the children can move their arms and act like butterflies.